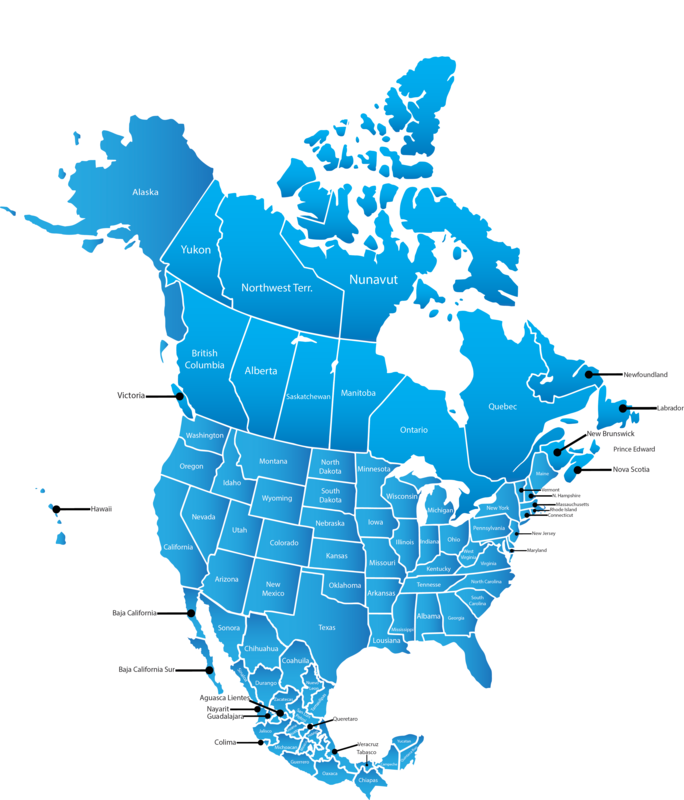 We have introduced a new map of North America for 2018. We intend to make the map clickable in the future. you will able to click on each state within the countries of Mexico, Canada and the USA. In the near future we will also update the map with the capital cities of each state and country. We will also have a clickable list of states in a table below. A version of this map will eventually become the main map for this site. We have picked a cool blue color as a base. It makes it easy on the eyes, if you have to look at it for a long time. Stay tuned for more updates in the near future.